Celebrating the day of love, Jules Bar rolls out a special 3-course menu for AED199 or pay AED130, upon arrival and receive 2 beverages. Adding merriment to the celebrations, Jules Bar will be by giving out prizes to the ‘Best Valentines Couple’! Valentine’s night themed dinner with free beverages for ladies. 50% on food.It may be the day of love, but Valentine’s Day Queens Night at Yalumba holds great excitement for the ladies! Round up your gal pals for alively Valentine’s themed dinner to enjoy 50% discount on food and free beverages. Bringing their signature spin to Valentine’s Day, Yalumba is celebrating the day of love on Friday, 15th February with a lavish spread in a romantic-themed décor. Serenade your partner withendless eats, free flowing sparkling grapes and unwind by the pool, late into the night. AED 529 with endless eats, free flowing house beverages, vintage bubbles and pool access from 03.00pm till late. Enjoy happy hour with 20% discount on all beverages from 3:30pm onwards. At Sukhothai, we don’t celebrate love for just one-day! Relish the inimitable flavours and delicacies of Thailand from February 10th to 15thwith a special 4 set-menu, priced at AED269, and surprise your beloved with an unforgettable Valentine’s Day celebration. 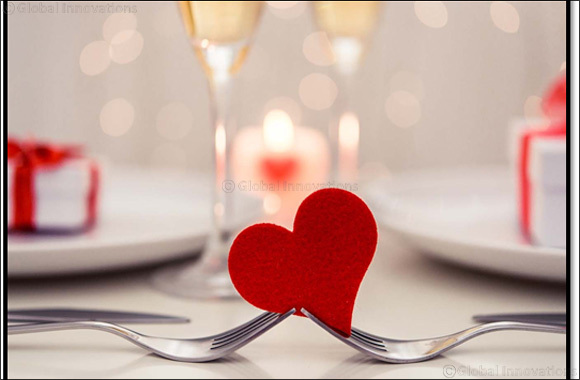 Whether you’re wonderfully in love or a singleton, Meridien Village Terrace is an option for everyone who loves food! Enjoy Taco night with live Tex Mex cooking stations for AED239 with regular beverages or opt for premium beverages at just AED289.